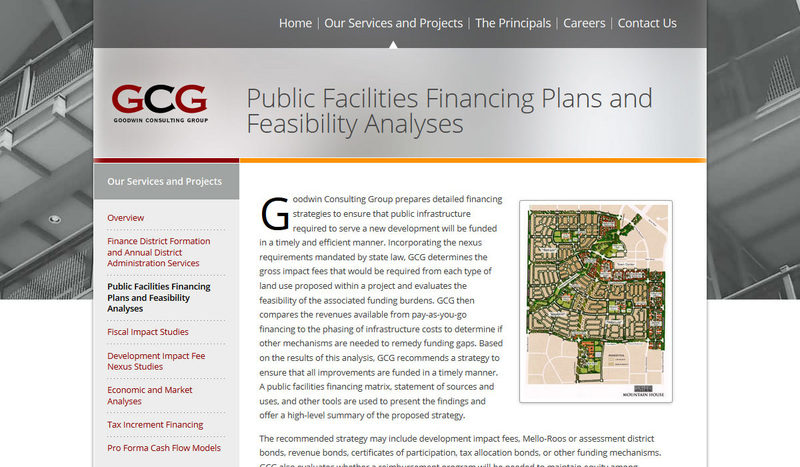 GCG specializes in analyzing the financial impact of land development/conversion projects. 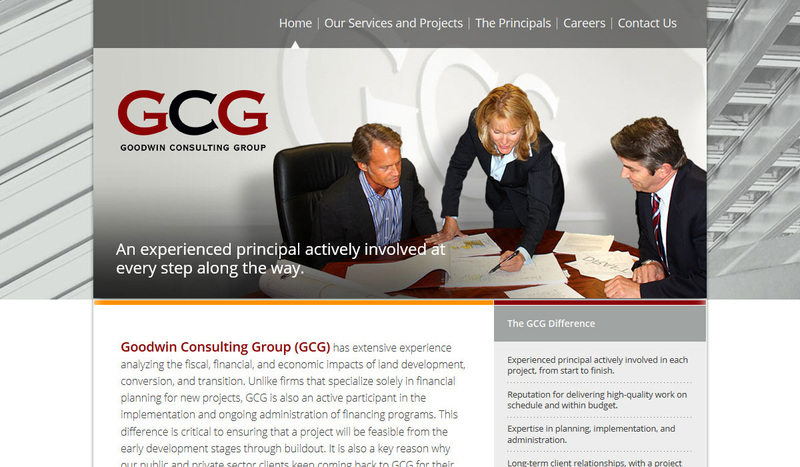 They had three main objectives for their website: (1) show the range of their services; (2) convey that they are actively involved throughout the life of each project; and (3) that the principals don't just sell the work; they do it. We built the site in WordPress so that they could update site content on an ongoing basis.